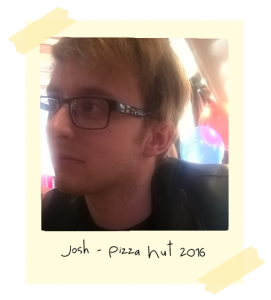 This is a picture of Josh in pizza hut. He used to work there before he moved to live with me. 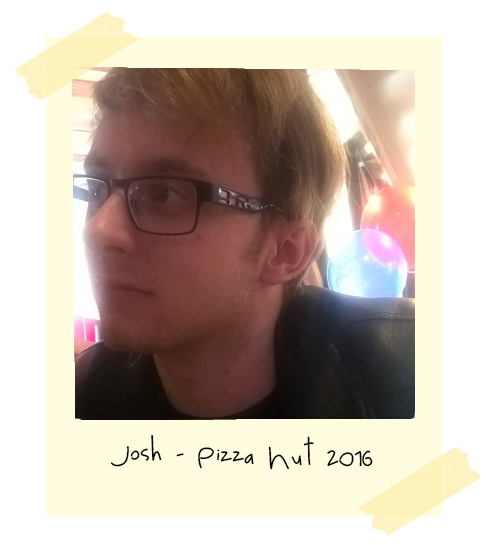 Every time we visit England he wants to go there for food.